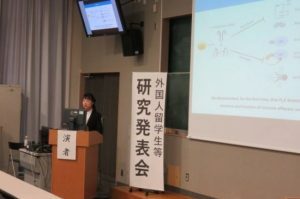 On March 7th, 2019, The 24th University of Yamanashi International Student Workshop was held at the Medical Campus. This annual workshop aims at encouraging international students by recognizing their outstanding research achievements. 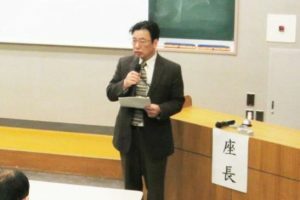 The workshop began with opening speech by Prof. Tetsuo Hori (Executive Director for Education and International Exchange), and 9 international students from the fields of medicine and engineering made presentation on their research topics. During the questions and answers, there were active discussions among participants from different fields and it was a valuable opportunity for the international students to seek a new idea and inspiration through discussing with the researchers across disciplines. 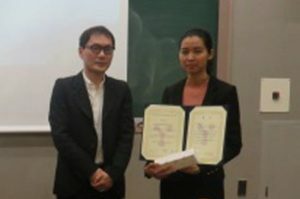 At the end of the workshop, award was given to each presenter by Prof. Atsuhito Nakao, Dean, Faculty of Medicine, for their excellent presentation and for encouraging them to continue in their efforts toward outstanding research achievements.